Thought I'd start a couple of threads on Cape Town water crisis. 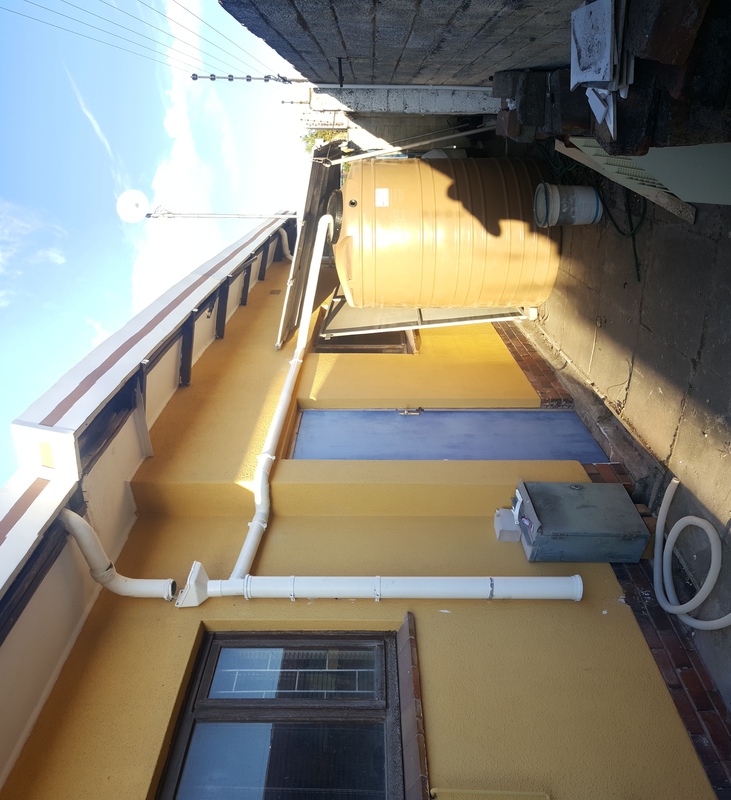 This one is for people to share their rainwater harvesting ideas & projects. Post some pics and plans as well. Water saving tips. What are you doing to save water? 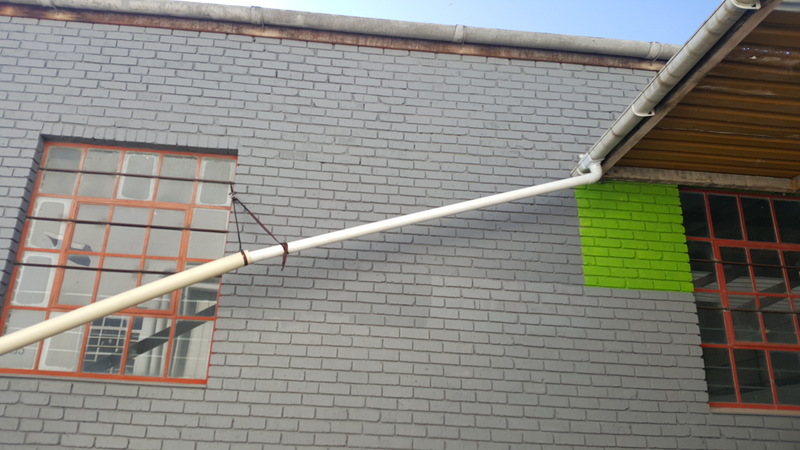 Rainwater harvesting. Would like to see wuggers setups in this regard. 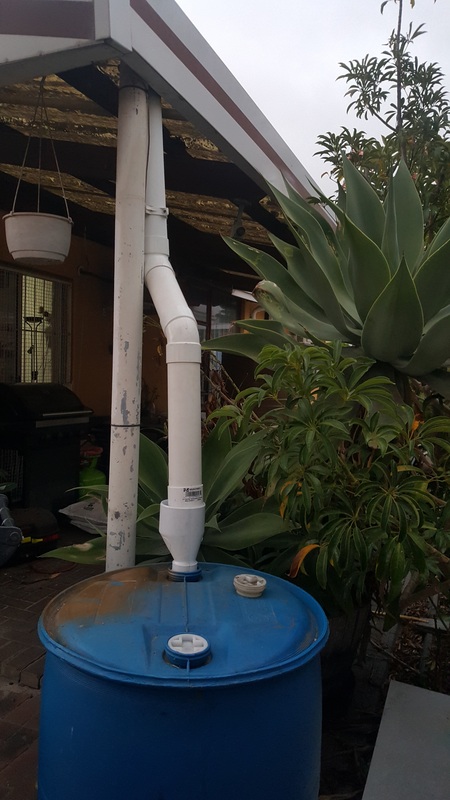 Greywater systems. Again would like to see wuggers systems. Day Zero plans: What are wuggers going to do if/when we get to day zero? Sorry offtopic in a thread about rainwater harvesting. Feel free to make a new thread. Made my own first flush system this weekend, and installed 3 x 2500L tanks. Now it must just rain! then I realised that the roofs at work represents HUGE catchment real estate and rigged a temp system there. 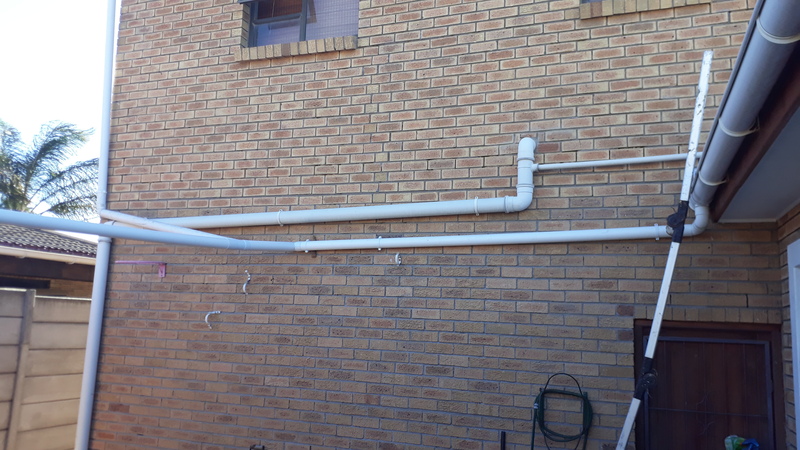 Pipes will be neatened up next week. should fill thqat tank QUICKLY if we gat any decent rain. I will gladly explain if anyone wants to know the ins and outs of the first flush rain diverter or anything harvesting related. 2 x 45-degree bends, a 110mm to 40mm Reducer and a drum. simple. 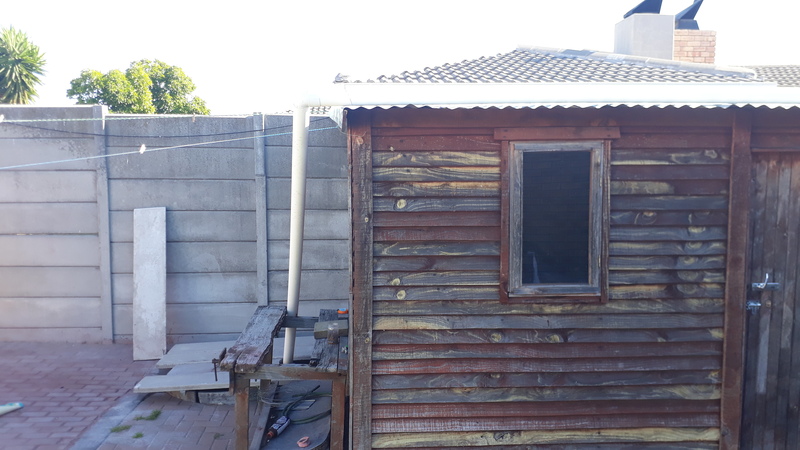 Ook sommer n homemade system wat reenwater van 2 guite in my put laat loop. With Day Zero looming, the World Wildlife Fund says it hopes that emergency by-laws will be applied to enable the use and sharing of groundwater in Cape Town. The great thing to come out of our water crisis is that everyone will look at water resources in a new light. Already many of us have reduced our consumption drastically by utilising grey water, catching rain water, etc etc. I am by no means an expert, but there are a few points I come across in my limited research. I welcome the experts in the field to add or correct any of the information below. Install a first-flush diverter system. You can either buy these or make them yourself easily, and they catch the first 10 minutes of dirty, dusty water coming off the roof. This means that only clean water goes into your tank. Once in the tank, water can stand for long periods of time and become stagnant. A simple pond flow-pump can help with circulation and aeration inside your tank. Chlorine or water treatment tablets will also help keeping your water clean. 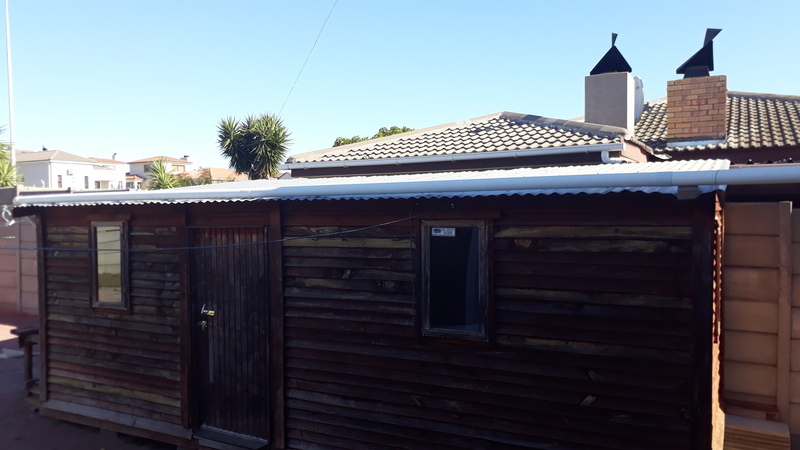 In my area, many of the roofs are still the old asbestos sheet roofs. 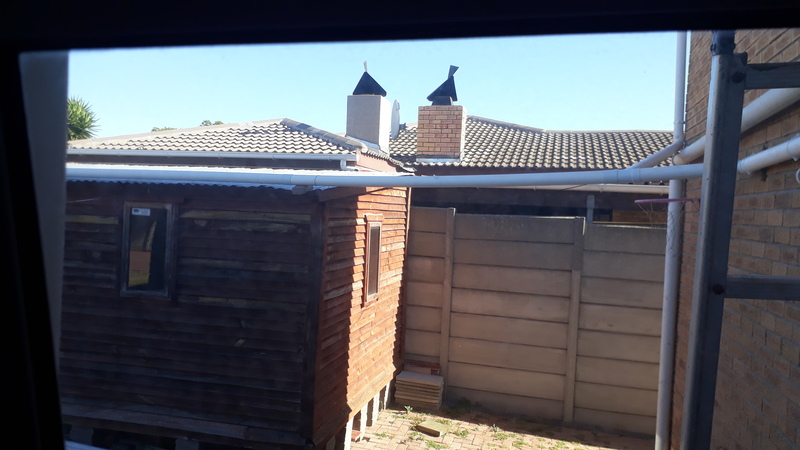 Harvesting water off these roofs may present serious health issues in the future. 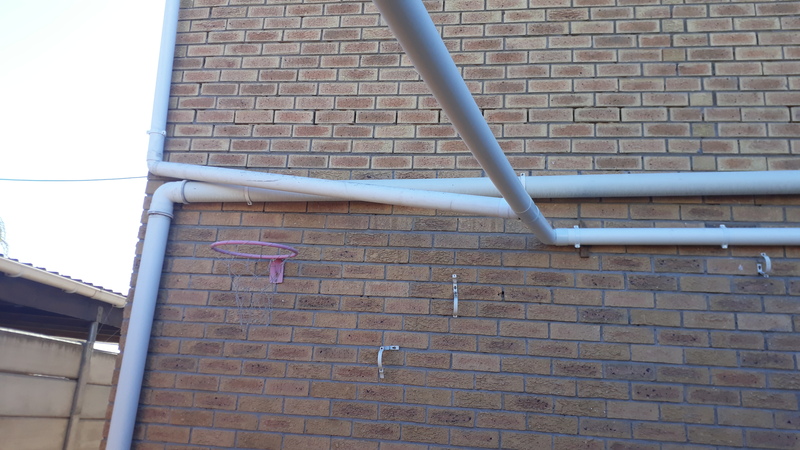 To make them rainwater safe, they will have to be sealed and painted properly and the water will have to be filtered. Just because it looks clean does not mean that it is! Of course we live in a rain-scarce region of the country. 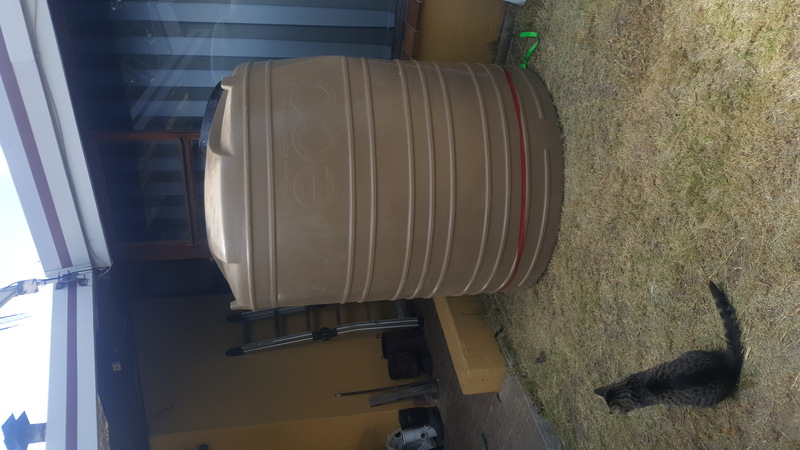 There is no point having thousands of litres of storage capacity, with no rainfall to fill said tanks. This is the reason many households are turning to another source of water to fill their tanks. Using borehole water for household purposes is definitely seen as a short-term solution, as it is a limited-renewal resource. An excess number of boreholes (and irresponsible pumping) will result in a lower water table. I have seen in some previously water rich areas, the ground has dried up and subsided, resulting in cracking of walls and major structural damage to houses. 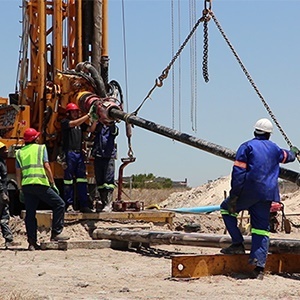 ALL borehole water (BHW) should be tested to determine exactly what type and method of filtration and treatment is required to make it safe do drink, or just use in the home. BHW is normally high in mineral, metals, salts and impurity content. It usually is also quite acidic. Using BHW natively will, over time, cause huge damage to your plumbing system. For general use you will have need a system to correct the PH and remove iron and other heavy metals. For drinking purposes you will need further bacterial screening and purification, including perhaps a RO (reverse osmosis) system, but more on that later. 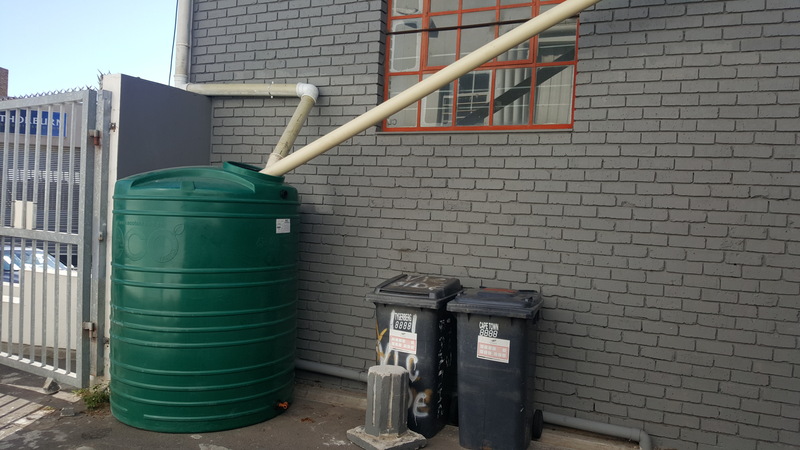 If you are thinking of plumbing your now filtered borehole water into your plumbing system, remember that (with the new water by-law) you will need a COCT registered plumber to do and certify this. The reasoning behind this is that the City rightfully must protect their water supply system. Imagine for a minute that (for the sake of argument) your house is built on a old medical waste landfill , and the borehole water is contaminated with poisons, diseases and toxins. If you simply connect this to your house supply, and the water contaminates the municipal system, you could be responsible for a great many deaths and sicknesses. It IS possible however, as the registered plumber is required to, in addition to a great many other regulations, to install a medical food-grade non return valve in the system. Now that your tanks are full with rain / borehole/ swimming pool water, how do you make it safe for consumption or daily use? Many companies out there are advocating RO (reverse osmosis) systems to properly clean your water. I recently got myself a 5 stage RO water purification system from a local supplier. During subsequent research, I have discovered that , while RO water purification systems are a good way to purify water, there are some pitfalls and things to consider. ALL RO systems have a very high waste water yield. For every Litre of clean water these systems generate, about 4 litres of water is discarded. Some systems pump the "discarded / dirty" water back into the system go go around again. (Permate pump) This reduces both the effectiveness and lifespan of the filters and membranes. In my opinion, RO systems are quite suitable for larger scale water purification methods such as Desalination Plants, as the concentrated brine is quickly dispersed in large volumes of sea water. On a small scale, these systems are quite wasteful, unless you can do something useful with the "dirty" water. I have contacted 5 RO suppliers in the last week to find out what the yield ratio of their systems are, to date not one has replied with a definite figure. Shop around, and DO your research before buying anything. RO systems need HIGH pressures to work. Below 40psi the system will not work and will only produce waste water. Some systems have a built in pump, so check that the system you use has sufficient internal pressure at the RO membrane for it to effectively work. Also be prepared that, if you have a booster pump connected to your RO system, it will run approximately an hour for every Litre of water used. Obviously the cleaner your water going IN, the more clean water you will get OUT. While looking crystal clear, borehole water, and especially pool water, are considered more difficult to purify for these systems, requiring pre-treatment , pre-filtration and more frequent cartridge replacements. All these water saving techniques definitely have merit, the aim of this writing is merely to share lessons learned. Dont just rush out and buy the next best thing you saw advertised. Do some research first, and arm yourself with knowledge. (Asking on social media is NOT research BTW. For every 5 people you will get 7 opinions and very little facts). Of course we also to HAVE look at alternative environmentally friendly and sustainable methods like solar distillation etc. It is time we all think less in the lines of how do I secure MY water future, and start thinking on a bigger scale and bring US and WE into the equation. Together we as a community, then Provence , then country, then Humans HAVE to start thinking about viable , long term, sustainable ways of using our planet's resources. Remember, much like the EksDom loadshedding debacle, everyone rushed out and got generators, inverters, batteries and LED lights. THIS TOO SHALL PASS, and we will all be left with thousands of empty 5l bottles, JOJO tanks and water purification systems that will gather dust. Stop panicking and running around like headless chickens. Just do your bit to save as much water as possible, and leave the rest to the powers at be. Together we WILL get through this. Elements with ulterior motives wanting to us to descend into chaos and anarchy WILL NOT WIN, we wont give them the satisfaction. Entrepreneurs, start thinking now about bottle collection and recycling ideas. Politicians, get your act together and run this Country better. Stop playing political games with peoples lives, or you will feel it at the next elections. In the meantime , spare a thought for those who do NOT have access nor finances for any of these measures, be a water Warrior and Keep SAVING water by any means possible and pray for rain! A simple pond flow-pump can help with circulation and aeration inside your tank.